Always look forward to my monthly box! Never disappoints! SheClub boxes are equal parts fun & FUNctional. In love with my office space now! 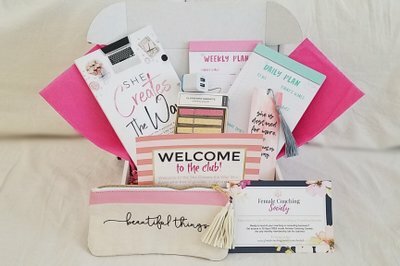 SHEclub monthly is a gift I use to celebrate promotions on my team!! They all LOVE it and I love it so much, that I get it for myself monthly so that I don't miss out on the goodies!! The boxes are unique each month and have tons of fun stuff!